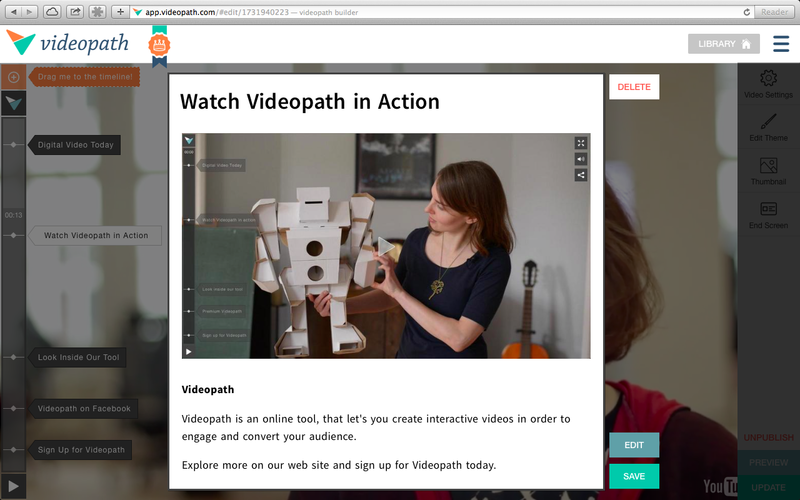 Curious about Videopath? The following will give you some additional information about how the product works and how you can use it with your videos. 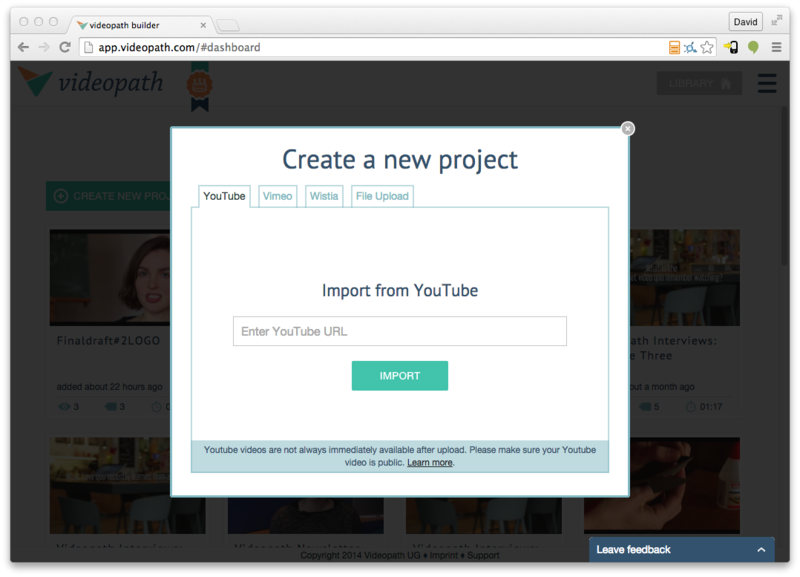 Videopath is a platform that allows anyone to create interactive videos, quickly and without any coding or complicated tech implementations. 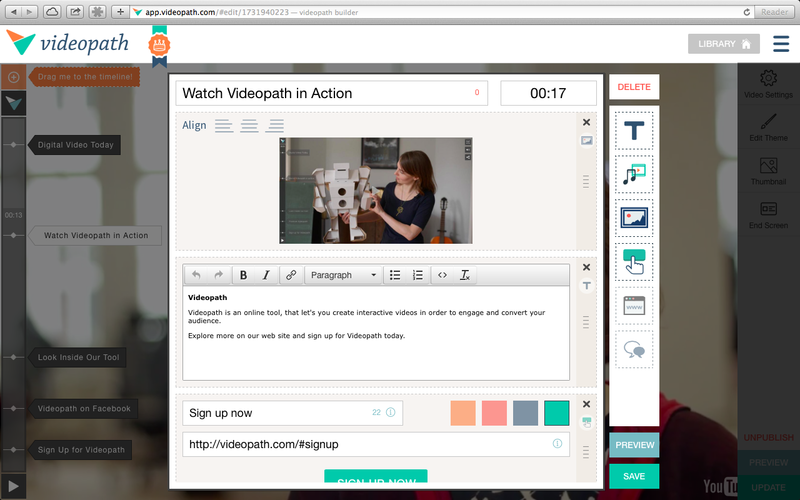 With Videopath, you can connect relevant web media – websites, text, photos, video – to specific moments in your video. The embeddable player has been shown to drive over 10x the engagement of youtube annotations, 3x the lead-to-sale conversion and 40% higher viewer retention time. *only available within paid plans. Within our project builder, you can easily add interactive elements by simply dragging and dropping the markers onto the timeline. Once placed, you can choose the content for your overlays within the overlay editor. After you have published your project, you can embed it onto your own website or blog, or share it on all your relevant social media channels. 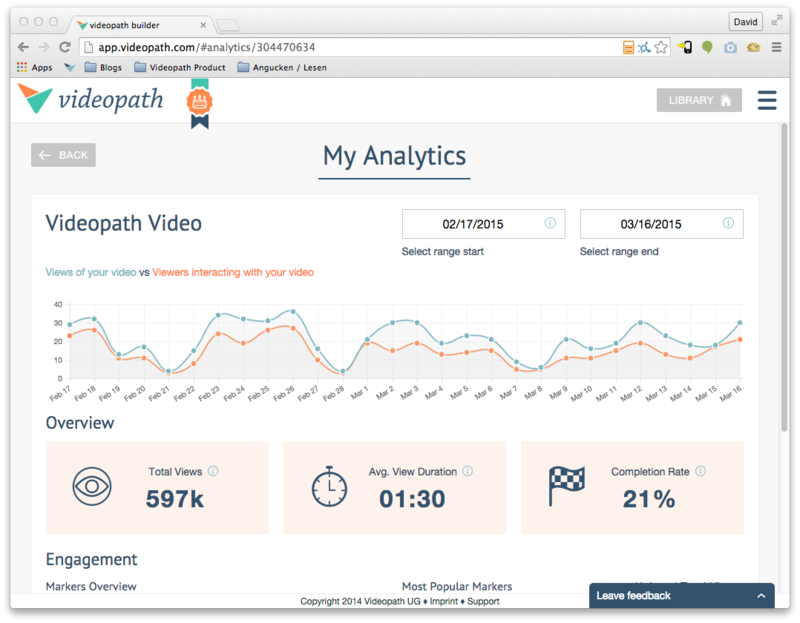 After your project has been out in the wild and has collected some views, you can analyze your viewer’s behavior and optimize their experience in our analytics dashboard. Please check out our feature list for a comprehensive list of what our tool can do or visit our documentation page. Sign-up for free, upgrade when it suits you!